Dr. Janna Lipenkova is CEO of Anacode GmbH, a Berlin startup developing software for text analytics and market research in China. 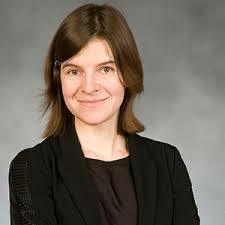 She holds an MA in Chinese Studies and Economics and a Ph.D. in Computational Linguistics (Freie Universität Berlin). Janna has almost a decade of working experience in text analytics for business use (Google, ABBYY Moscow and Lionbridge, among others) and has authored numerous publications and talks at international conferences. Currently focusing on the Chinese market, her overall goal is to facilitate understanding and access to highly attractive but challenging emerging markets through the application of the most recent advances in text and data analytics.